The Westfield San Francisco Center have a family lounge in the mall basement, across from the regular restrooms near the food court. It has many changing tables, and four private nursing stations with sinks, for breastfeeding and breast pumping mothers. 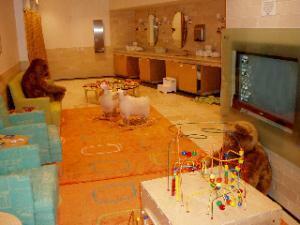 There's also electrical outlets in each nursing station, and they have a small play area.